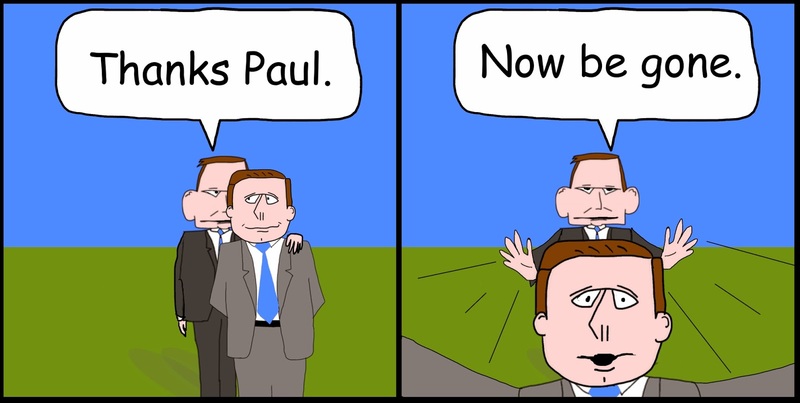 Australian Politics - State of Play. Cartoon. Denis Napthine bails out SPC. Cartoon.